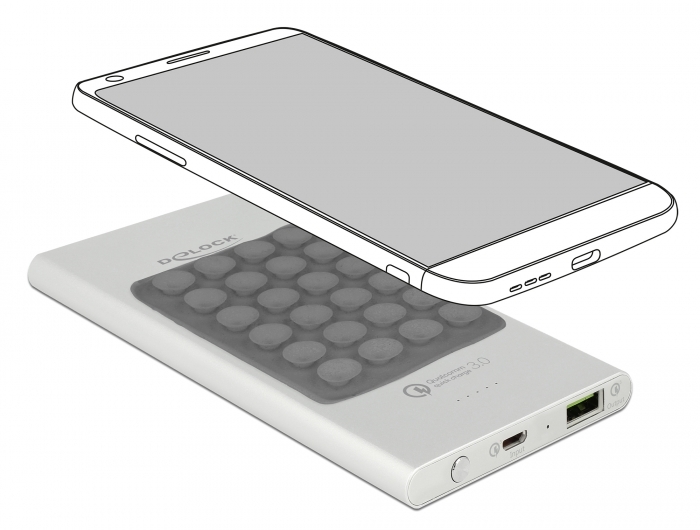 This external battery by Delock can be used for all common devices with USB power supply. 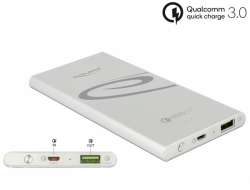 The power bank has a USB Type-A port with Qualcomm Quick Charge 3.0 support, which can charge e.g. 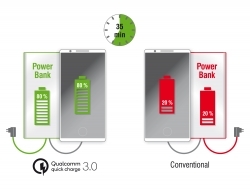 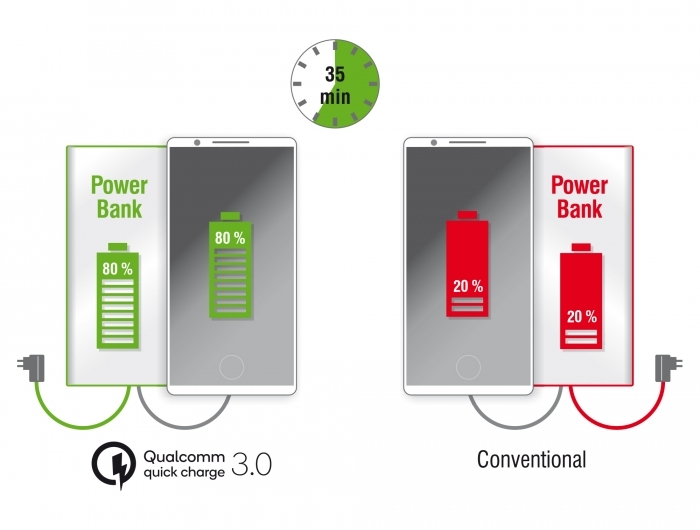 smart phones with Qualcomm Quick Charge 3.0 function in much shorter time. 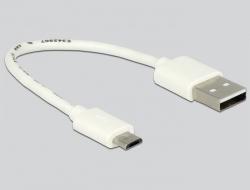 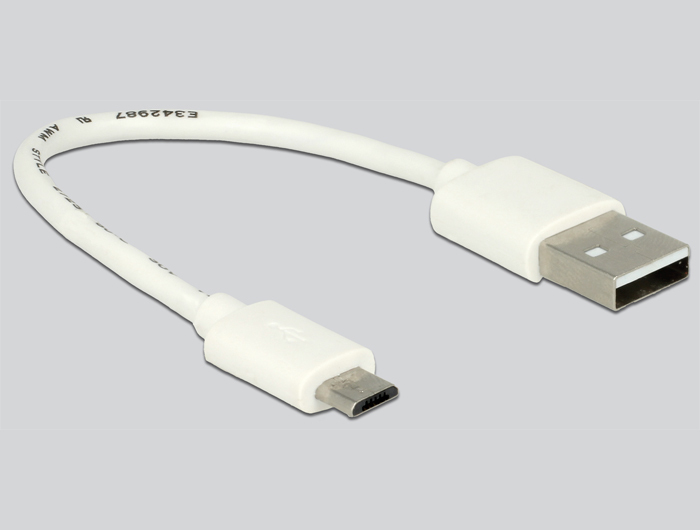 The Micro USB port has also Qualcomm Quick Charge 3.0 support, so the power bank can be recharged faster than conventional models.